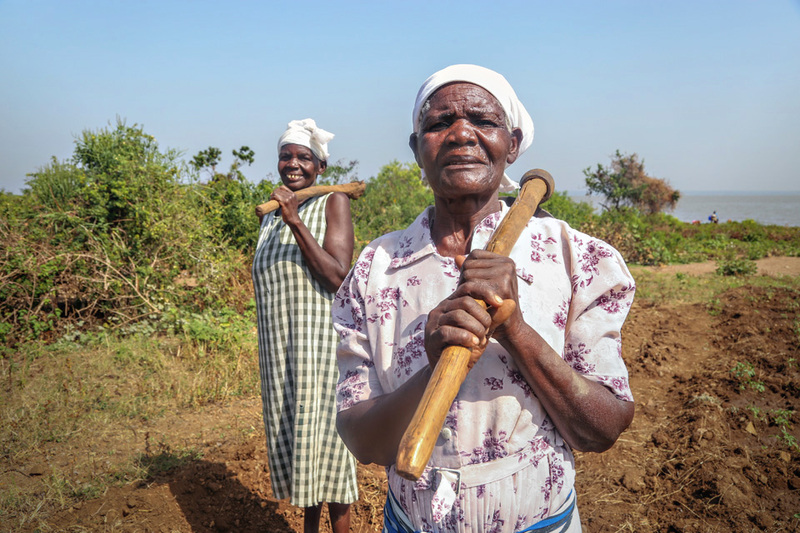 Catholic Relief Services works with women farmers around the world. Even against everything—climate change, scarce resources and difficult financial circumstances—these women prove just how powerful they are. They are a force of change in their communities, and we are privileged to share their stories. 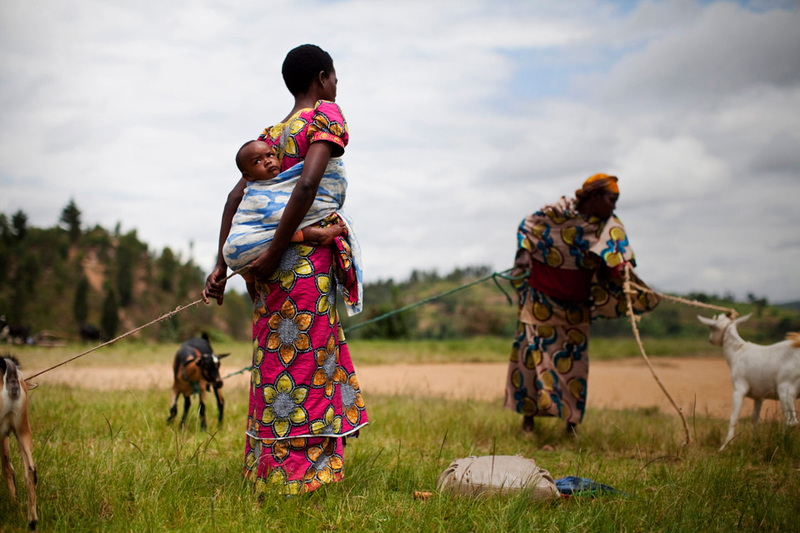 Therese Umuhire holds her son, Alfred, on her back while she holds onto the goat she bought at a livestock fair. The fair is one of many initiatives between Green Mountain Coffee Roasters and CRS to help Rwanda’s coffee growers thrive. 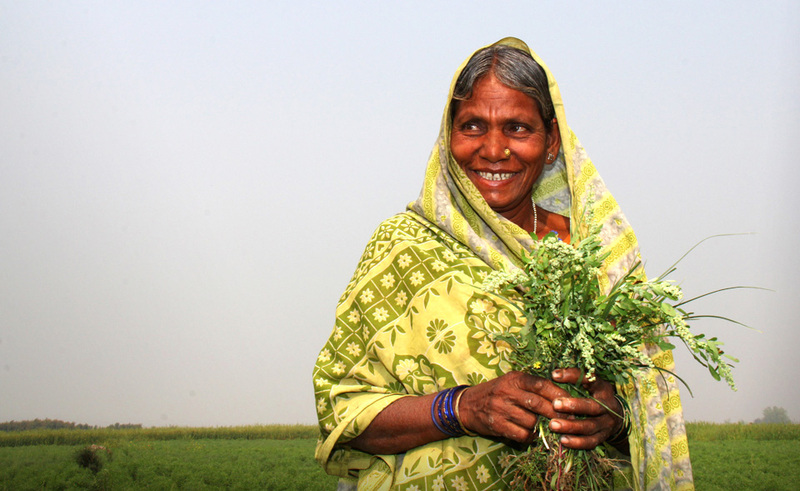 Truphosa Aloo is a widow who supports her six children. Through savings and lending programming, she is now a successful businesswoman who operates her farm and a fishing boat to sell goods to local markets. Nguyen Thi Nguyen is the community leader of a group of men and women farmers in Vietnam. 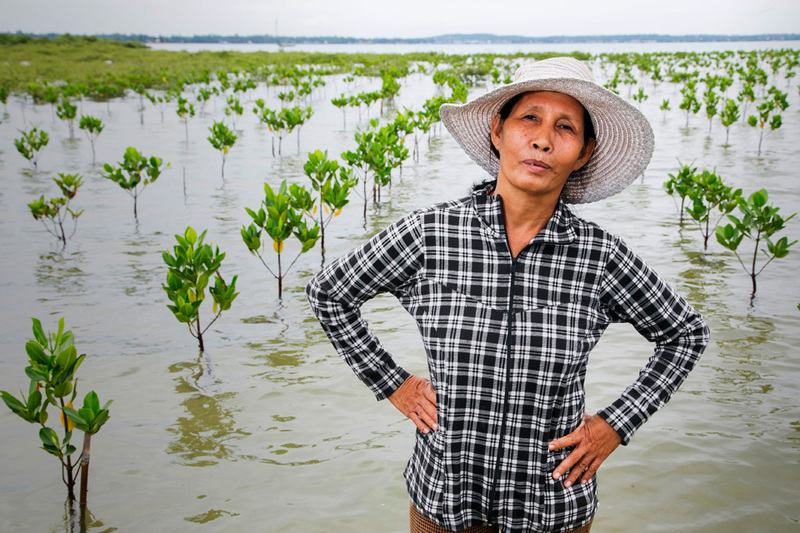 She leads the farmers by boat to care for young mangroves. 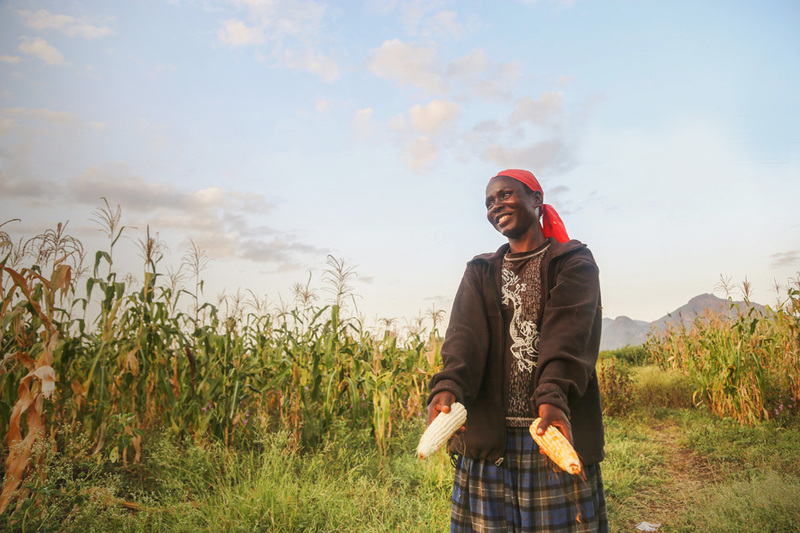 Edina Mahulisya works in the field where she grows onions, beans, Chinese cabbage and corn for her children and disabled husband. 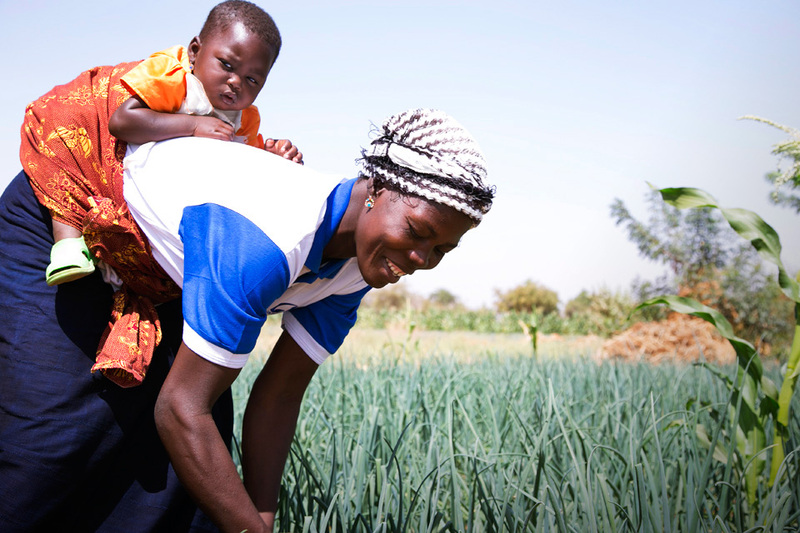 Here, Edina is shown carrying her 5-month-old, Theopista, as she works in the field. Through her participation in a savings and lending program, Fati Sawadogo acquired more farmland and a generator to pump water to her crops. Before joining the program, she saw little profit and was not using the potential of the land. Now, she is earning enough income to support her four children. A local group of women grows and distributes vegetables as part of savings group activity in the San Antonio village in Estelí, Nicaragua. 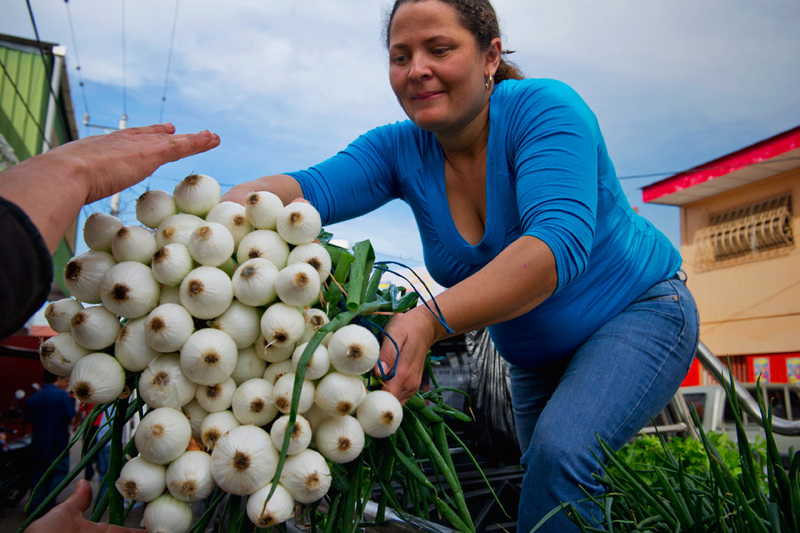 The group brings vegetables to sell to local grocery stores and farmers’ markets. Kelia Gonzalez is helping with negotiating the sale. 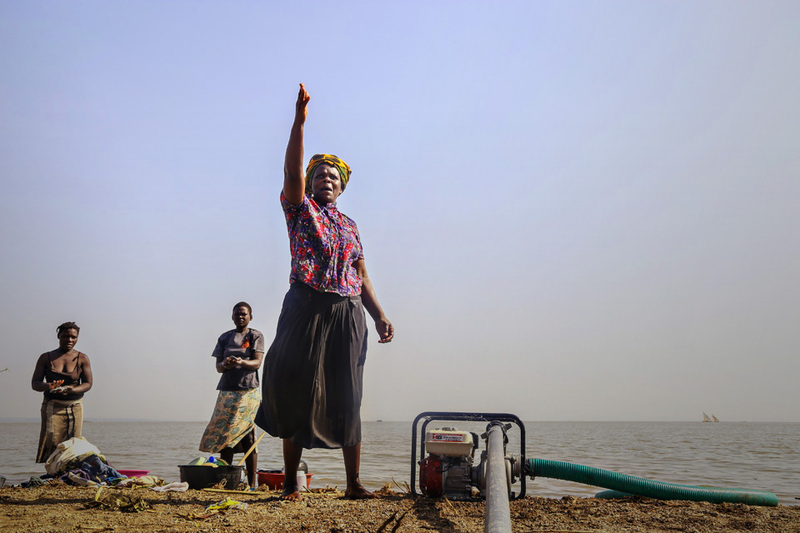 These two mothers are working together to irrigate their farm with water from Lake Victoria. 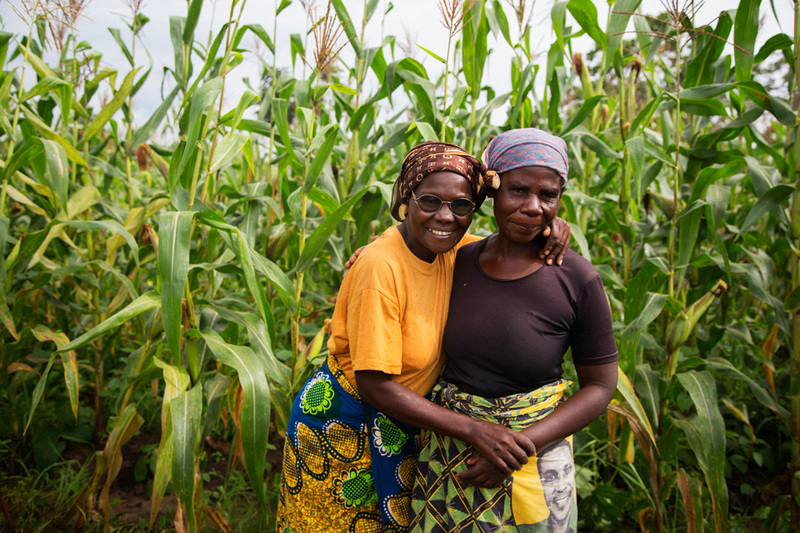 In their THRIVE Caregivers group, they are helping other mothers have a sense of purpose and gain self-esteem as they help their community yield stronger crops. Genofefa Haule and Kristina Haule are poultry farmers. A loan provided them with 50 day-old chicks and ongoing technical support and training to help raise their chickens to produce eggs for sale on a daily basis. 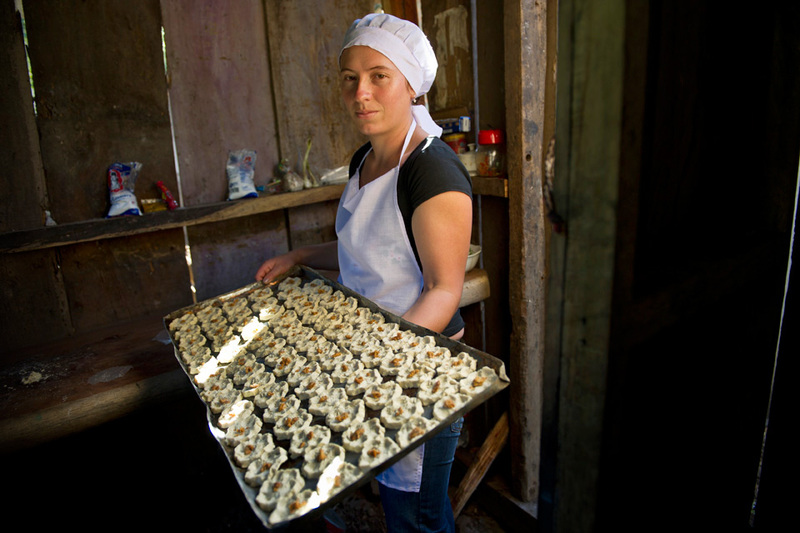 Maritza Reyes Rugama from Nicaragua holds a tray of cookies ready to be baked. She is a part of a savings group bakery, Las Delicias de las Cuevas, that makes corn flour and cheese cookies to sell in the community. 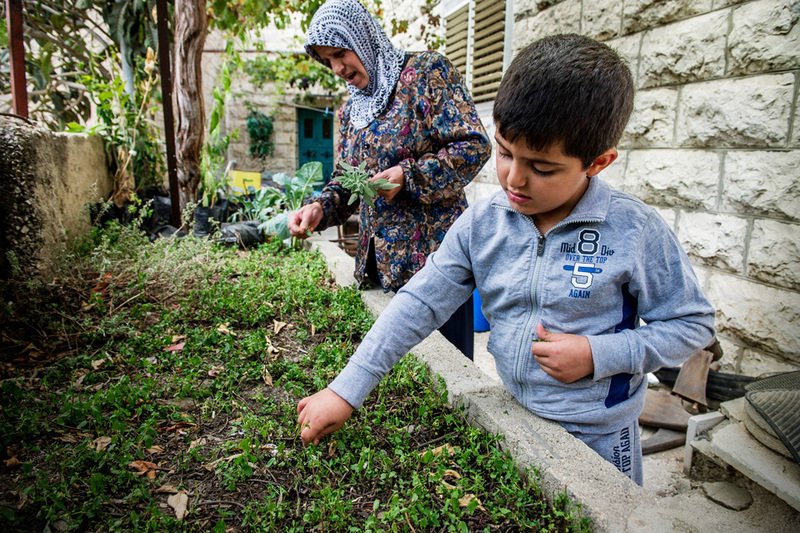 Intisar Mohammed Hassan Attallah and her grandson Aiz Al-ba are tending to the 2.5-acre farm where Intisar grows grapes and some vegetables. Sudama Devi volunteered one of her plots of land to test new varieties of rice, lentils and wheat. 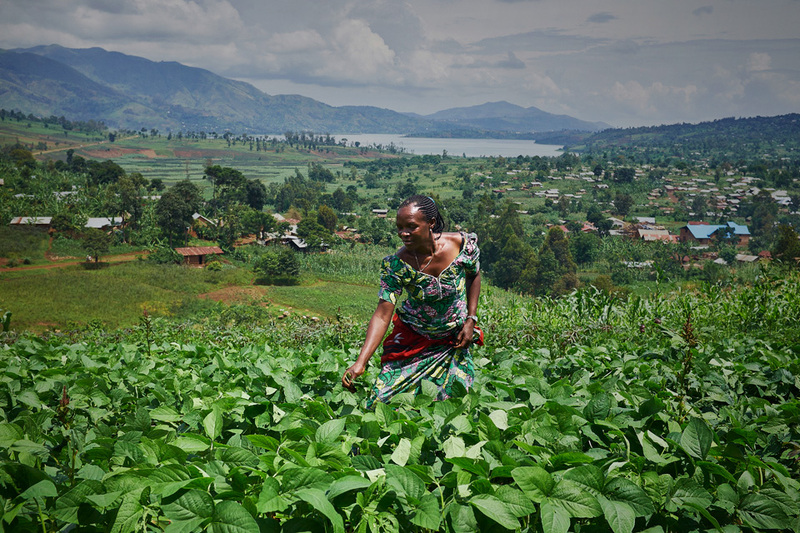 Everyone else in her village was worried about the risk of trying new seeds and methods in an area that floods, but she took the chance and her new crops can survive flooded conditions. According to FAO, women are responsible for some 60% to 80% of food production in developing countries through rearing poultry and small livestock and growing food crops. 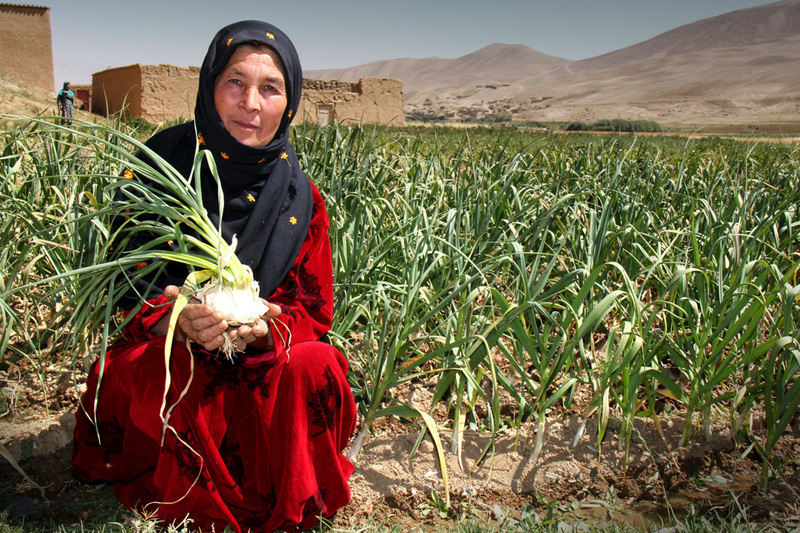 Zahra is a garlic farmer in Shaidan Valley in Afghanistan. Higher-value garlic supplements income from potatoes and wheat. 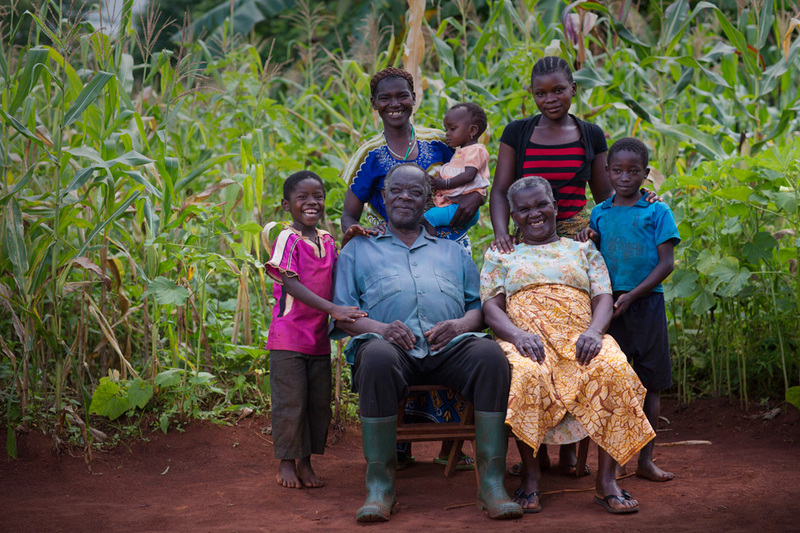 Angelica Komba sits with her husband and the four generations of soybean farmers in her family. 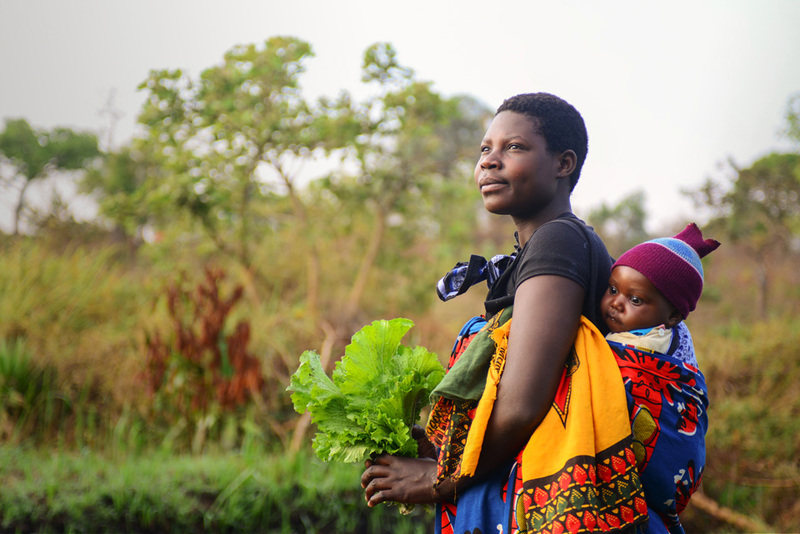 Family is what drives women to work hard to provide for their loved ones. Nothing will stop a determined woman.